Registering an embryo calf is just like registering a natural born calf, except for three things: the donor dam, MBC, and breeder fields. Parent Verification(PV) is the minimum testing requirement for purchased embryos. This testing simply confirms whether the animal qualifies or does not qualify to the sire/dam. Read more about parentage testing and how it works by clicking here. 3. 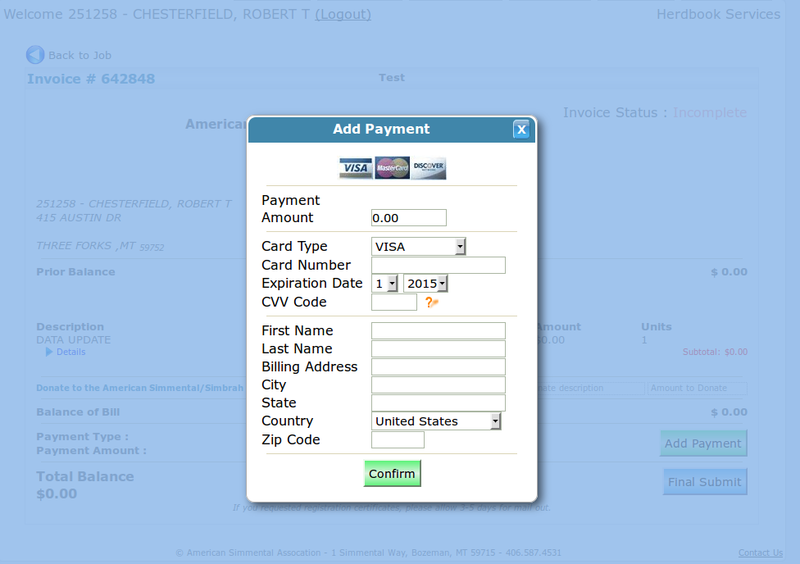 The donor’s information will automatically fill in when you click into another field. KEEP IN MIND: This is not a required field to register calf. If the dam is commercial you may leave this field blank. If the recipient cow (recip) is a part of THE program enter her information here. 8. Enter where the tattoo is located on the animal. 10. Enter in date of birth of animal to be registered. All ET calves will have a Y in this column as they are a result of AI breeding. 14. Enter Y if you want to receive a paper certificate; leave blank or enter N if you want electronic storage. 16. Enter dominate color of animal. 17. Enter the owner’s member number. This is typically the applicant’s member number. 18. Enter the breeder’s member number. This is the member that owned the donor dam at time of flush. If you need to find that number you can do an animal search, and look at the animal’s ownership history. 19.Do you have any errors? 26. You have submitted the registration successfully!